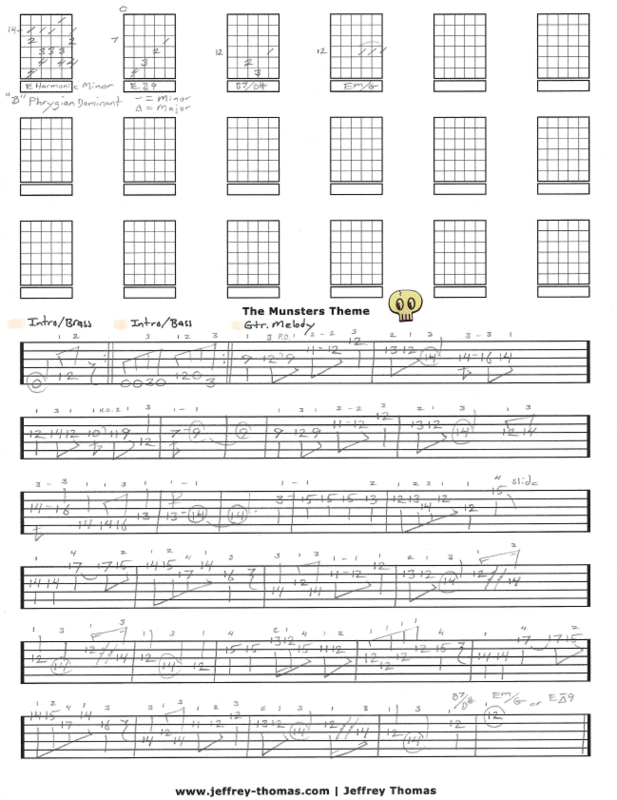 Learn to play “The Munster’s Theme” on guitar with my free guitar tab. I have all the signature licks from the original tv theme here in this tab! Starting with the intro brass line, the bass line then into the main guitar melody. The tab is also supplemented with a B phrygian dominant scale, a Emin/Major 9 chord and a switch to the woodwind lines to keep the melody complete. Want the full guitar tab for free? Just send in your email using the form provided. Looking for the best online guitar lessons? Fill out the Schedule A Free Lesson form to set up a free Skype guitar lesson today. Did you know The Munsters series saw ratings drop and the show was cancelled when Batman came out in color on ABC. Find more free online guitar lessons on my tab, video and blog pages.